Swimming is a sport for all ages. It helps young folks to tone their muscles and grow healthy and strong. For the elderly, there's no better method to exercise than locating a Fiji Swimming Pool to escape from daily routine. Regular users with the following Fiji Pools told us probably the most vital factor about swimming is to control your breathing. Oftentimes this is not achievable because we raise the neck to breathe and the body is not aligned. To avoid this, our head should be aligned with our spine all of the time. Swimia.com requirements your feedback on Aquagym in Fiji to ensure all of the information about swimming in Fiji is valid. We probably don't know all the Pools in Fiji. Are you missing any? Contact us!. 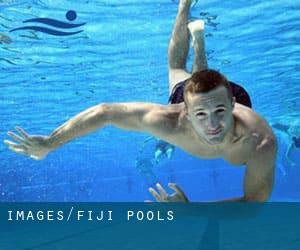 Please contact the sports center in Fiji to check which activities are being offered and their timetables, because Fiji Pools may perhaps have distinctive rules and fares than other places. Thanks to some new pools submitted by swimmers like you, Swimia.com is increasing within the daily number of stored pools. Please don't hesitate to contact us if you ever find any Fiji Swimming Pool with inaccurate or incomplete details. One in the benefits of outdoor swimming in Fiji is the possibility to sunbathe throughout the summer season. Taking it with added care, sunbathing is wholesome due to the fact introduces Vitamin D into the body, so the most beneficial option seems to be switching between indoor and outdoor pools depending on the season. Whereas Lautoka is among the six most populous cities in Fiji with almost 52.500 residents, you shouldn't miss that one if you're going to Fiji. Without a shadow of a doubt, swimming in Suva could be the most beneficial way to unwind following work. Take a couple of minutes to browse Swimia's catalog to find a Swimming Pool in Suva. Let us tell you a secret to switch off while you are in Nadi: just pick a Swimming Pool in Nadi and plunge into the water! There's no more productive method. Swimming is a excellent thought to keep your body active during your visit to Ba (Fiji), or even if you are a local. Swimia assists you to find your closest Swimming Pool in Ba. It's hard to visit Fiji without having dropping by Labasa (with 24.187 residents). At present Swimia is showing you all of the Swimming Pool in Labasa and also the closest pools located in its vicinity. 224 Victoria Parade , Suva . This sports center offers Olympic size, 8 lanes, Outdoors. For this Pool, only phone number is number here. Denarau Island Resort , Denarau Island . Swimmers like you reported 25 meters ""lap pool"", Outdoors. Phone number and e-mail address are number for this Swimming Pool. Across from Nadi Airport , Nadi . Among all the activities offered by the center, if you're interested in swimming you can enjoy 25 meters, 4 lanes, Outdoors. Just in case you want to get in touch with this Swimming Pool just before dropping by, we only know the phone number.